A few new accessories launched today for Apple’s newest iOS devices. First, JBL announced new Lightning connector speaker docks for iPhone and iPad including the new $99 JBL OnBeat Micro and $199 JBL Venue LT (pictured above). The larger of the two docks supports Lightning iPads, iPhone 5, and iPod touch, while the smaller less-expensive model only supports iPhone 5 and the new iPods. 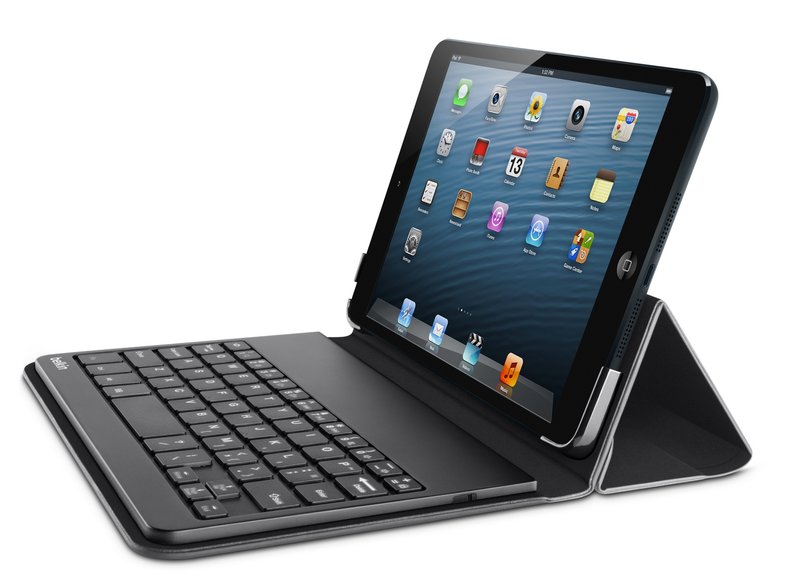 Belkin also announced a new accessory for the iPad mini today, an $80 folio with built-in Bluetooth keyboard. The company also claimed up to 155 hours of active battery life, and it is including a USB-to-mini-USB cable for charging. A nice touch is the ability to remove the keyboard, allowing you to comfortably position it anywhere you’d like. Earlier this month, the company also announced a new car charger kit for iOS devices with Lightning connectors.